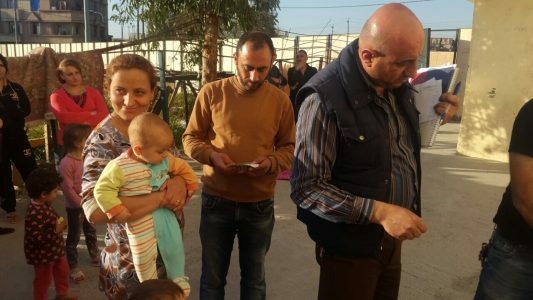 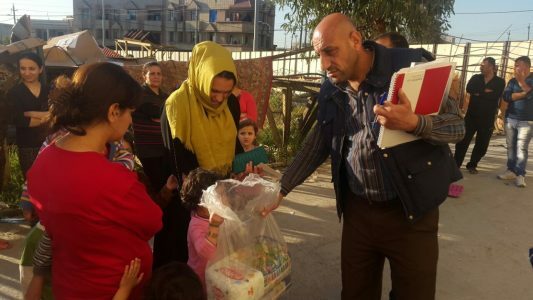 Camps for displaced persons swelling during Mosul assault: Over the last two weeks I have received emails and urgent calls about the situation in northern Iraq. 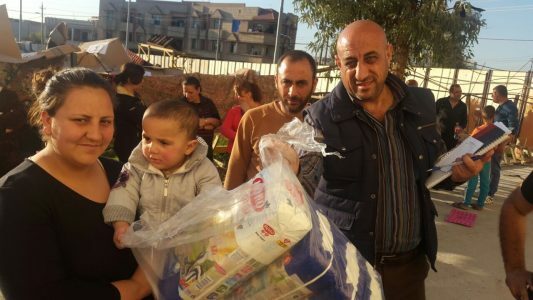 Refugee camps are being overrun by refugees from Mosul. 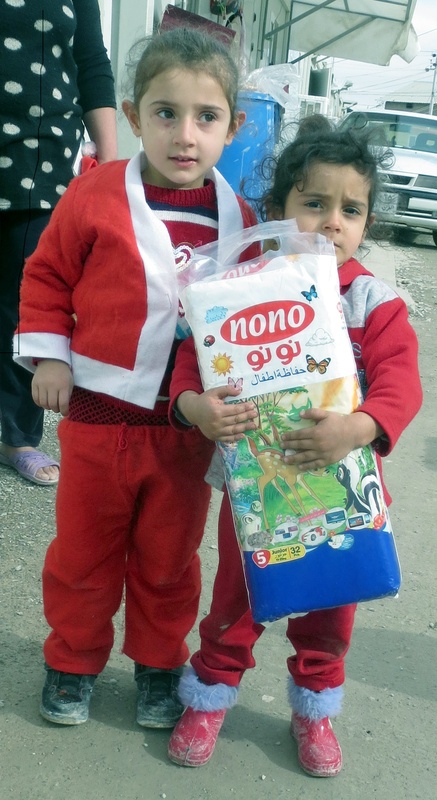 In 2004 the city of Mosul had a population of 1.6 million. 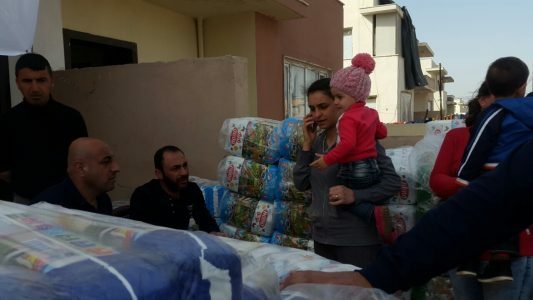 It is estimated that about 700,000 still remained after the takeover by the Islamic State in 2014. 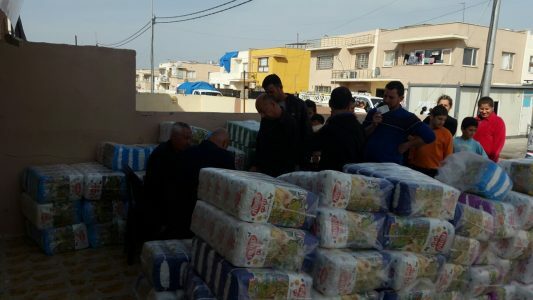 Most of the Christians fled to the Erbil area. 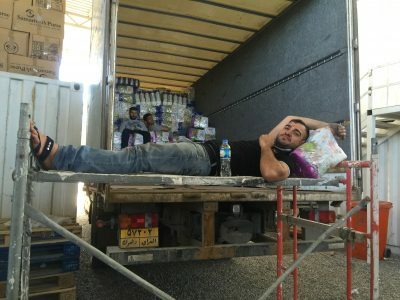 Shia Muslims moved to other towns. 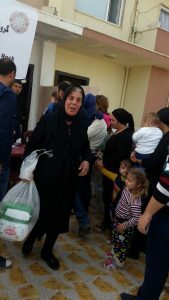 Many of the Sunni Muslims stayed. 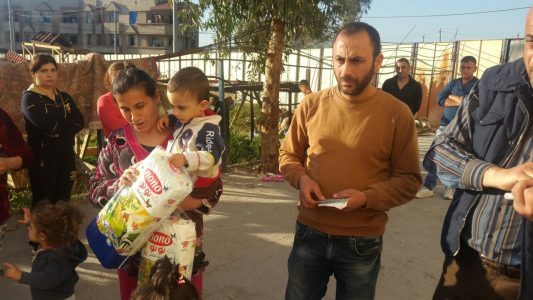 Tens of thousands are now fleeing because of house to house fighting. 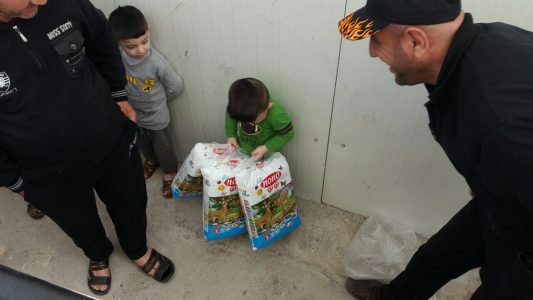 The Iraqi Army along with Shia Muslim militias have entered Mosul and the fighting is intense. 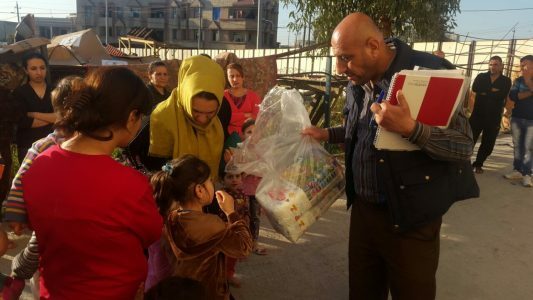 When I was in Iraq in December, standing in the decimated town of Qaraqosh, I was close enough to Mosul to here artillery strikes in the city. 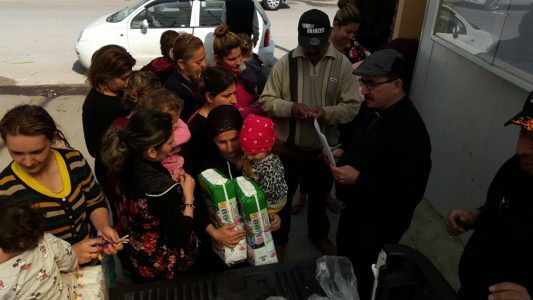 Christians who were trapped in Mosul in 2014 are now fleeing along with tens of thousands of Sunni Muslims. 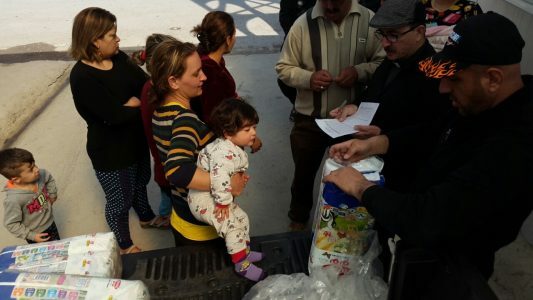 The result is chaos, as the Kurdish Authority who controls the area does not know who to trust. 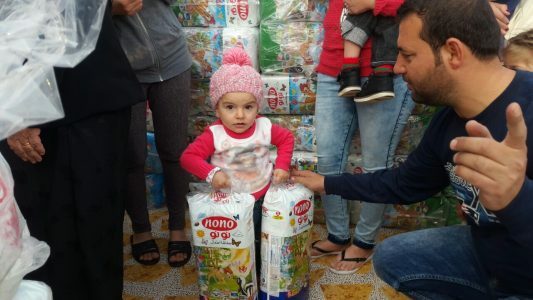 Meanwhile the need is great. 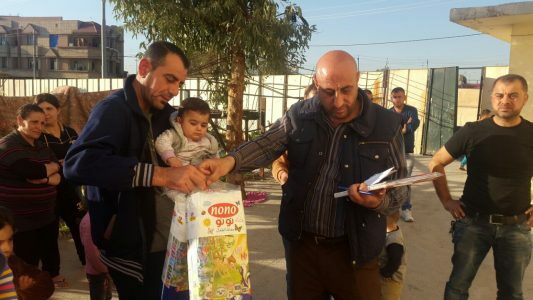 Instead of the refugee camps we support in Erbil thinning out, there are more displaced persons arriving, many of them with babies. 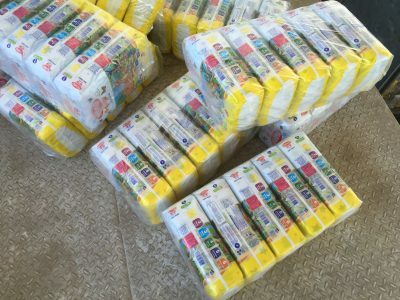 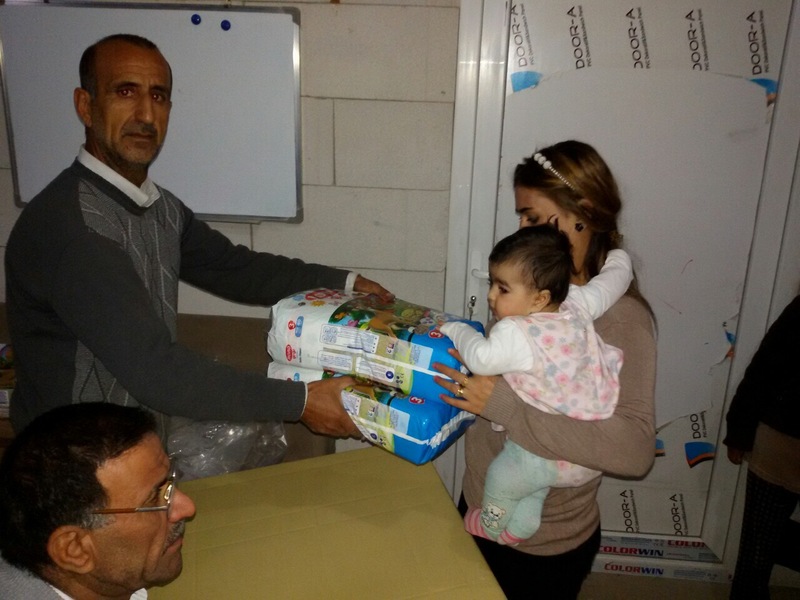 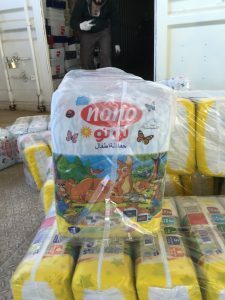 The Diapers for Refugees program does need to expand but the funds are not available now. 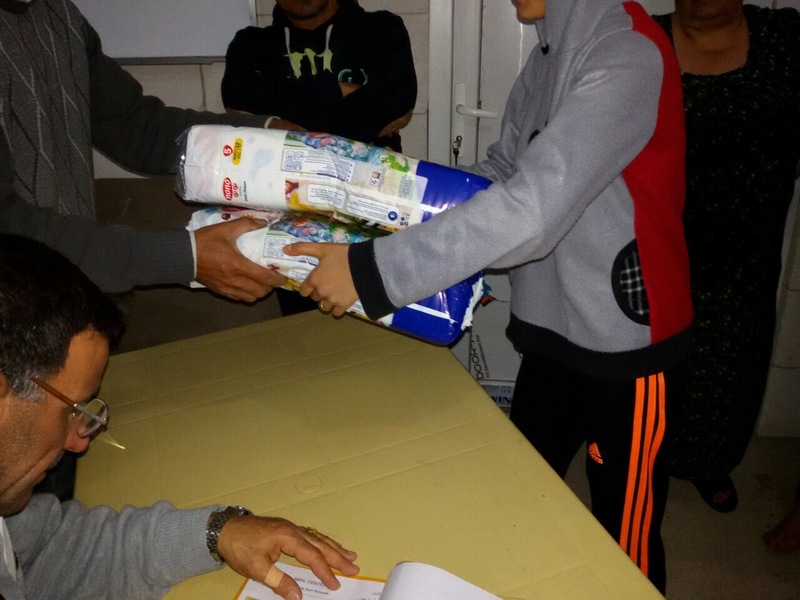 The program is filling the needs of about 300 families and that is the best we can do. 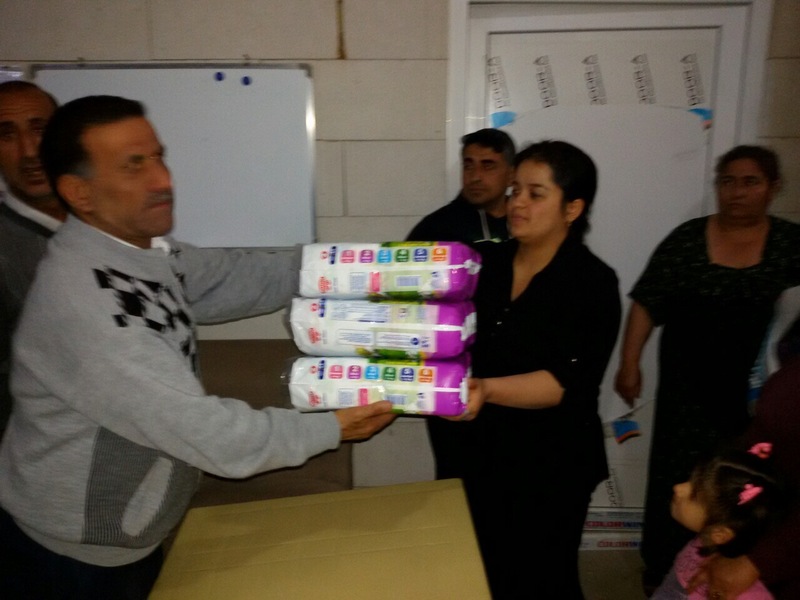 Female refugees have an unmet need: One of the greatest needs is sanitary pads for women. 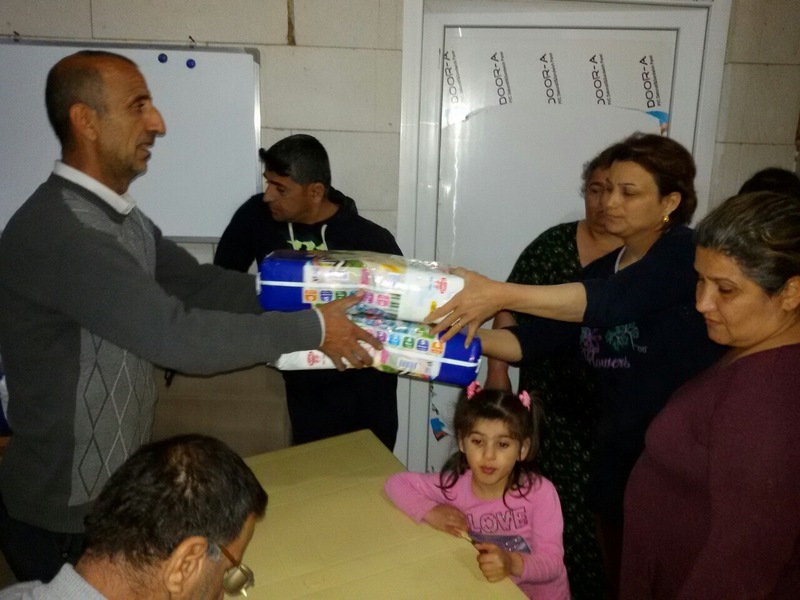 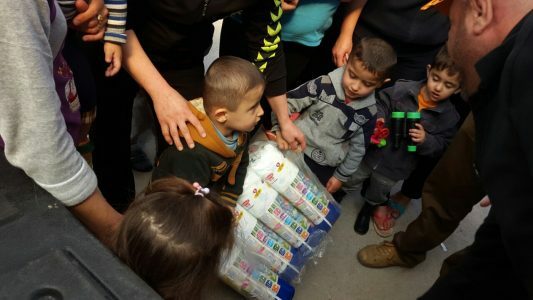 As part of the Christmas for Refugees program last December, the family of every child who participated received hygiene materials. 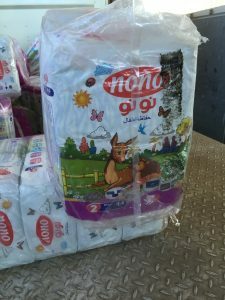 In these heavy plastic bags filled with soaps, shampoos, disinfectants, laundry soaps and other supplies, there were feminine sanitary pads. 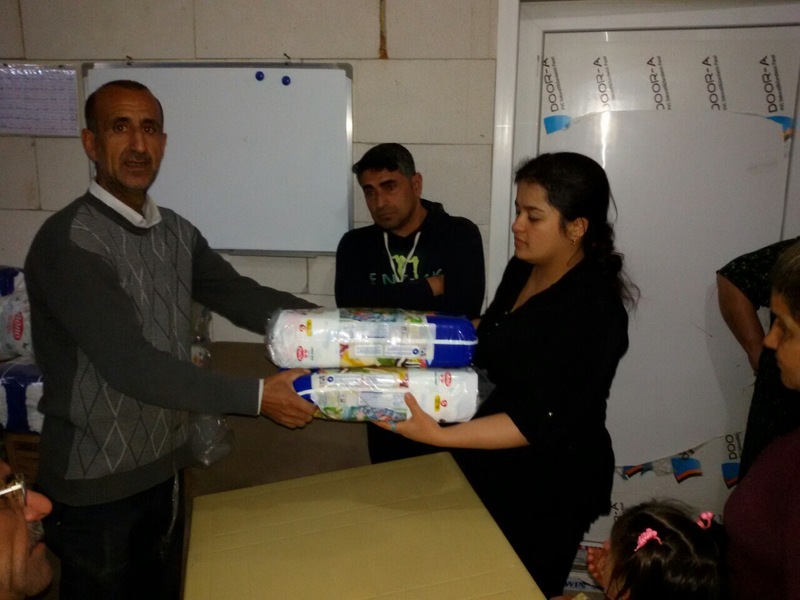 Some of the women visibly cried when they saw what they were getting. 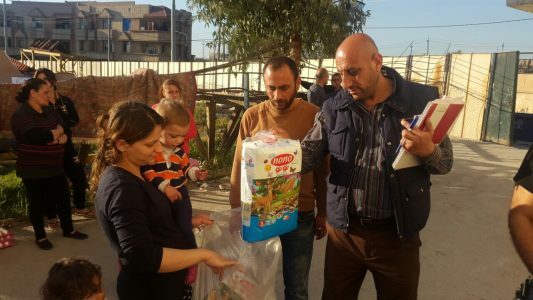 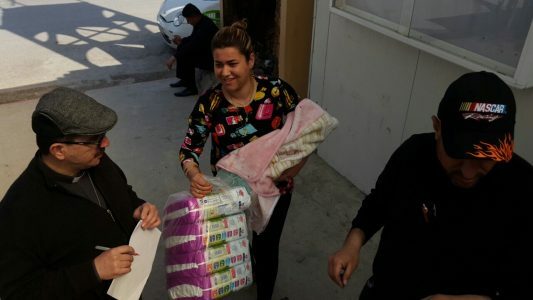 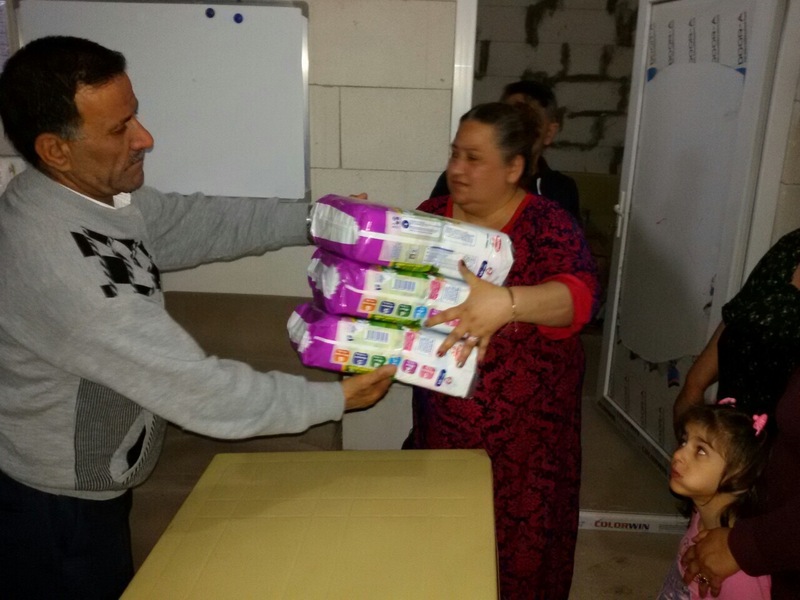 The financial goal for the month of March for the Diapers for Refugees program was reached early, and I have been working to put together a program for the sanitary supplies needed for women. 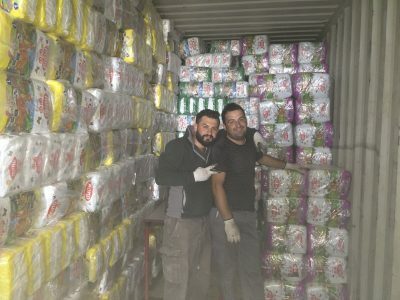 Our Iraqi partner is obtaining quotes for different quantities from various suppliers in Turkey. 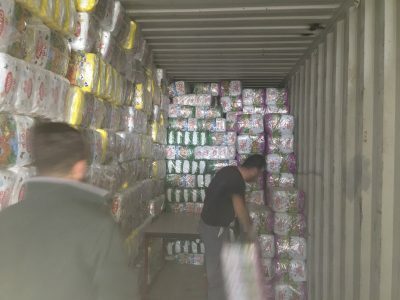 That is the only place, for now, where we can obtain high quality supplies without the expense of shipping from the United States. 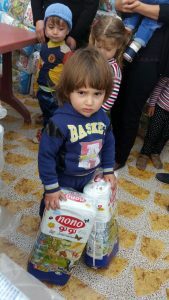 I may travel to Iraq and Jordan in May or June to assess what is being done and how our capacities may be able to help. 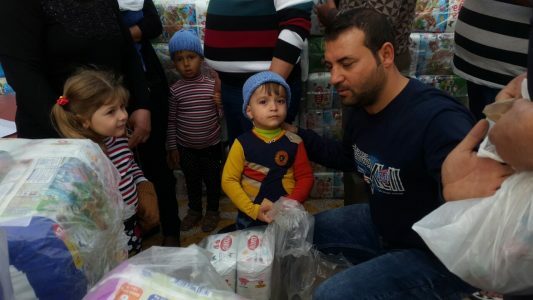 The need is very great and we must make sure that the small amounts we have to help with serve the needs of persecuted Christians in the most useful way. 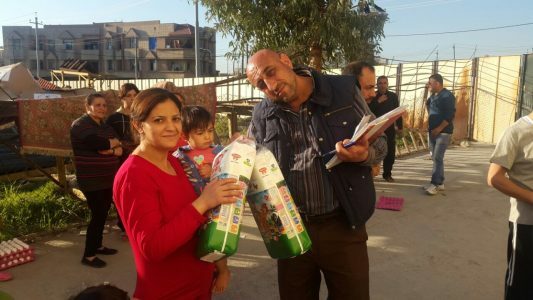 Please continue to pray with me for the Lord to guide us as to how best to help the persecuted Christians of the Middle East. 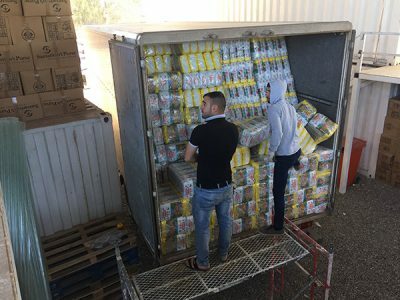 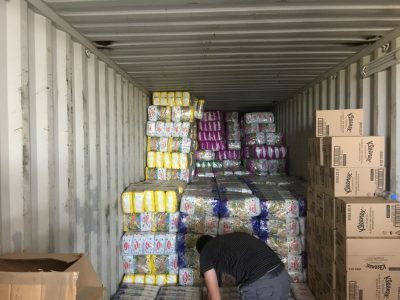 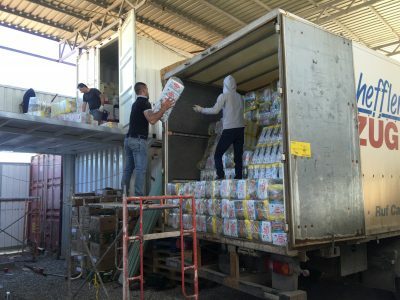 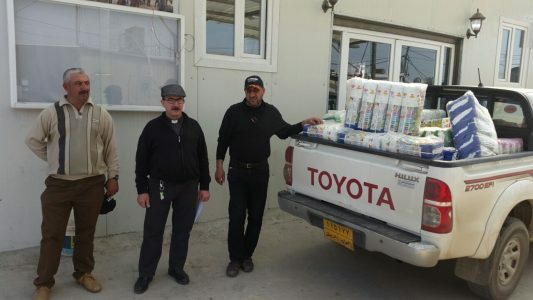 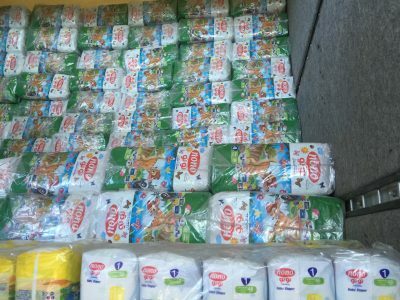 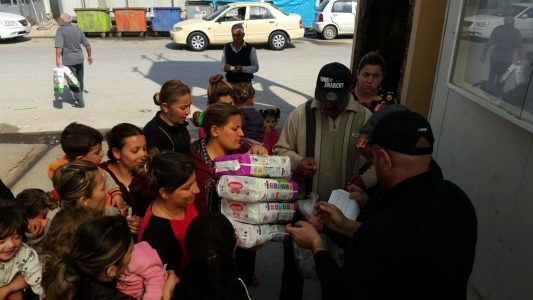 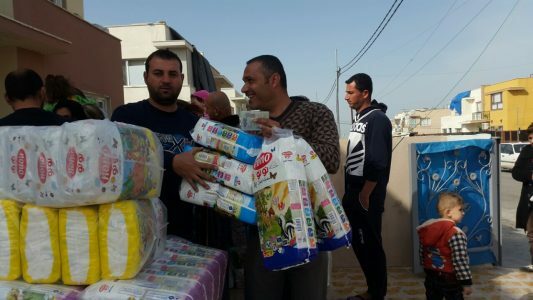 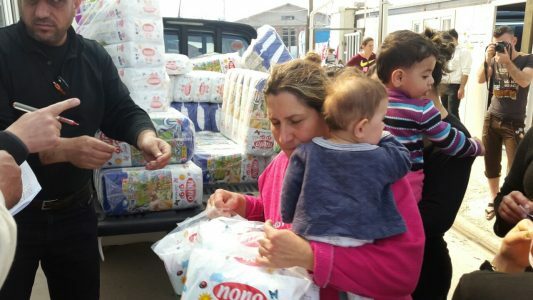 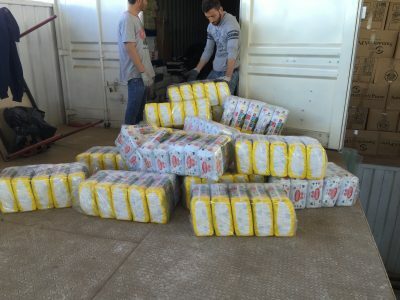 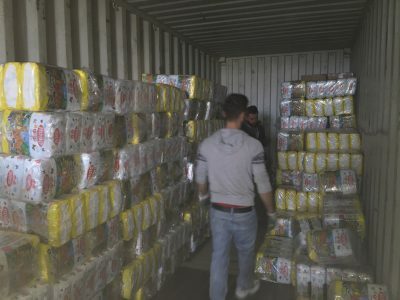 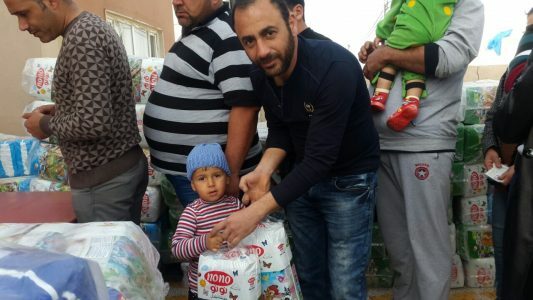 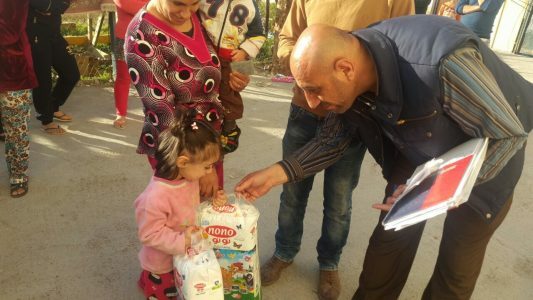 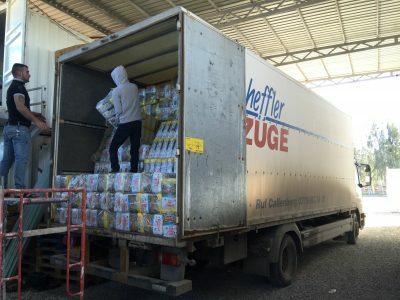 The need is greater than we can fill: I really wanted to expand the Diapers for Refugees program in 2017 but for now we are staying with our initial program of delivering 160,000 diapers every three months to Christian refugees families with infants in the Erbil area. 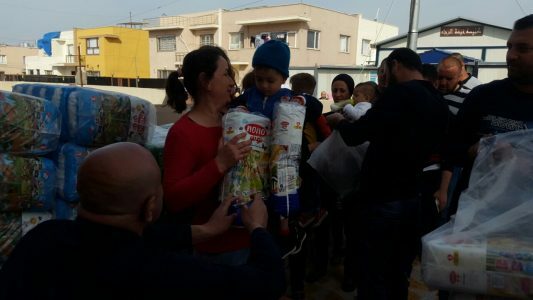 The program is filling the needs of about 300 families. 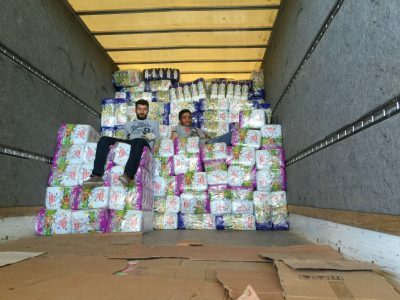 Tight records are kept by our ministry partner. 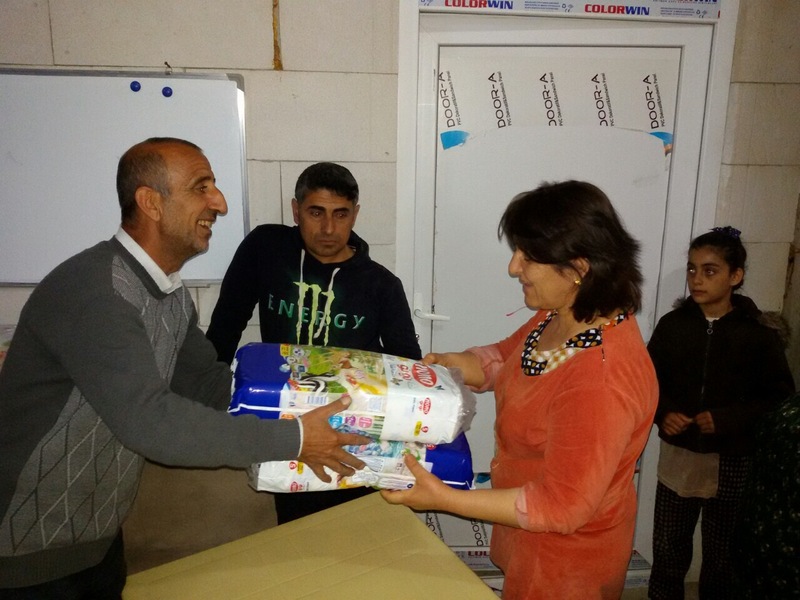 With the help of refugee camp leaders, a list is maintained of every family with a child needing diapers. 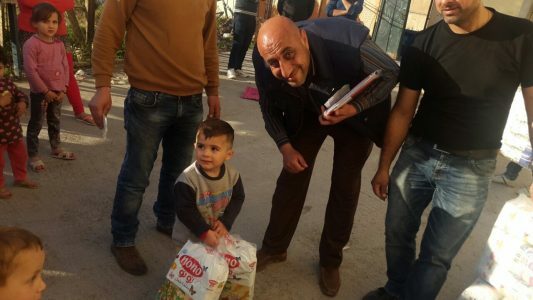 On that list is the name of the parents; the name of the child or children; the age of the child or children; the village they came from; and the number of the caravan they have been assigned to live in. 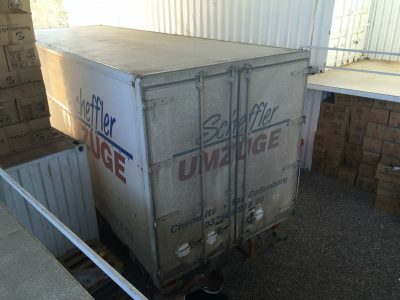 I watched the process when I was there in December. 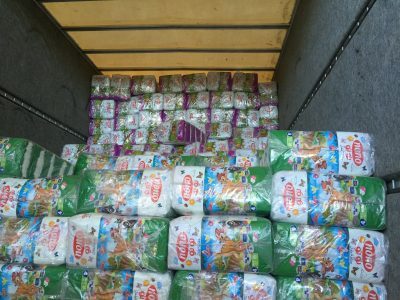 Our diaper deliveries are conducted in March, June, September and December. 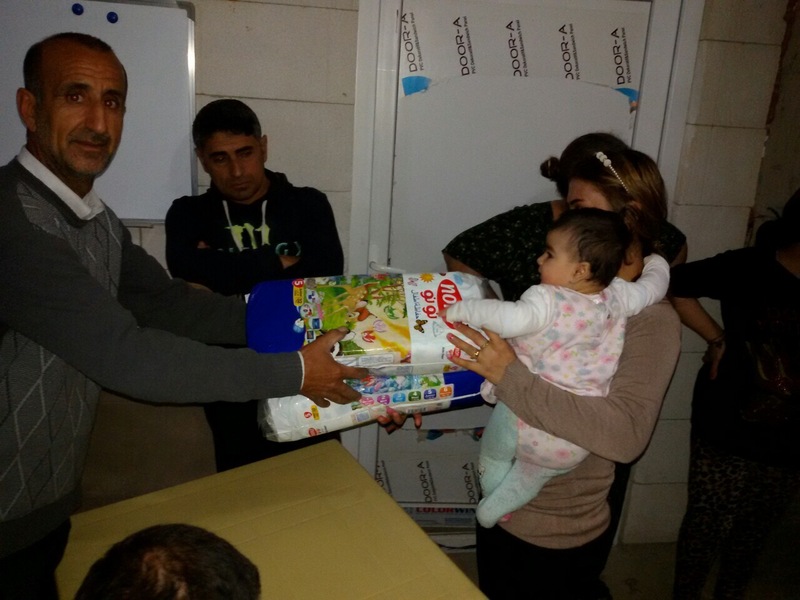 Because of that schedule, I was present for diaper distribution while there for the Christmas for Refugees events held for the older children. 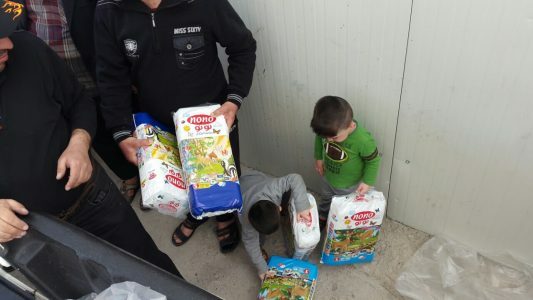 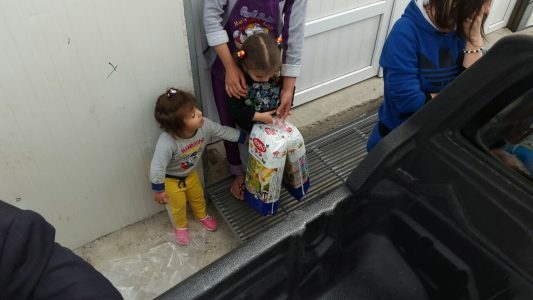 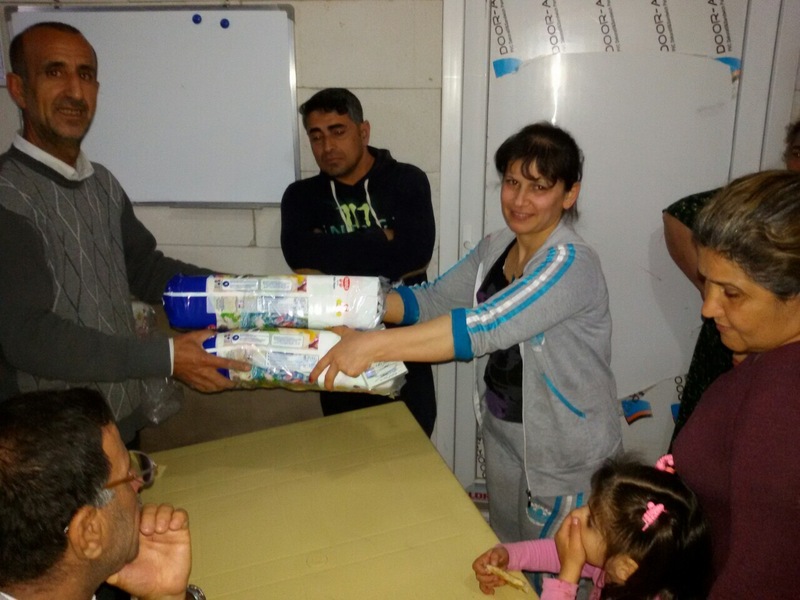 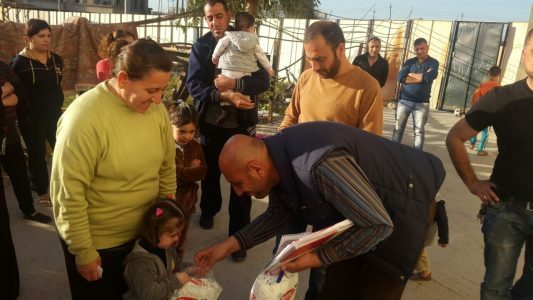 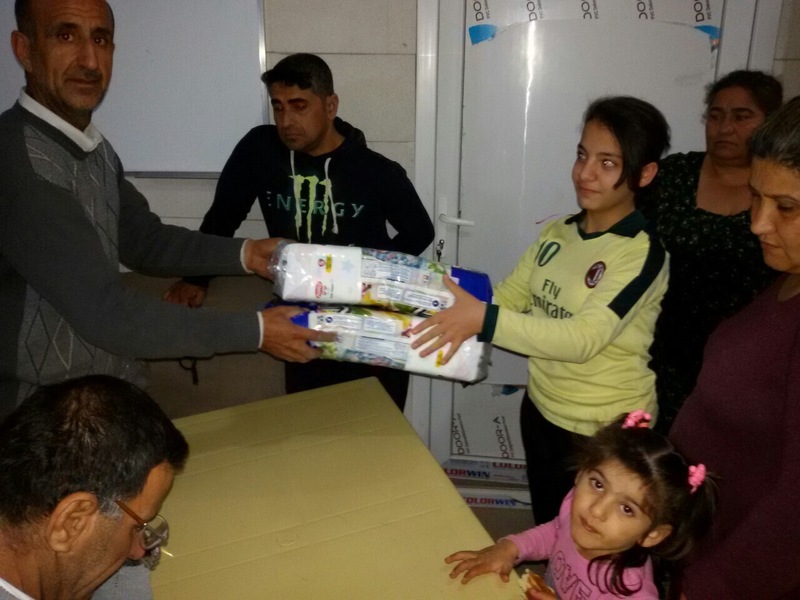 During one of my visits to a refugee center, I saw two young children dressed in red and white for Christmas carrying home diapers for their mother who is to the left behind them in the photo at right. 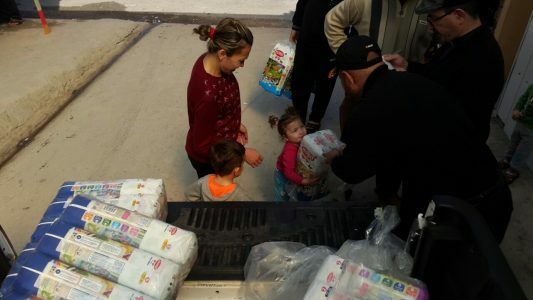 Parents do their best to try to make Christmas normal for their children. 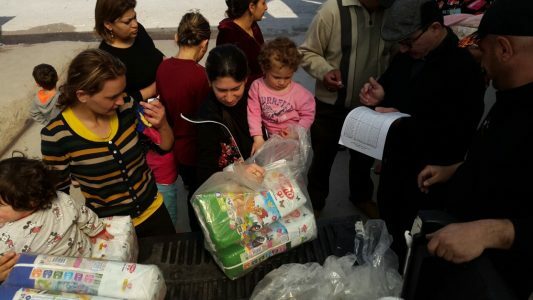 The families try hard and the men who are still with their families look for work every day or volunteer for ministry work. 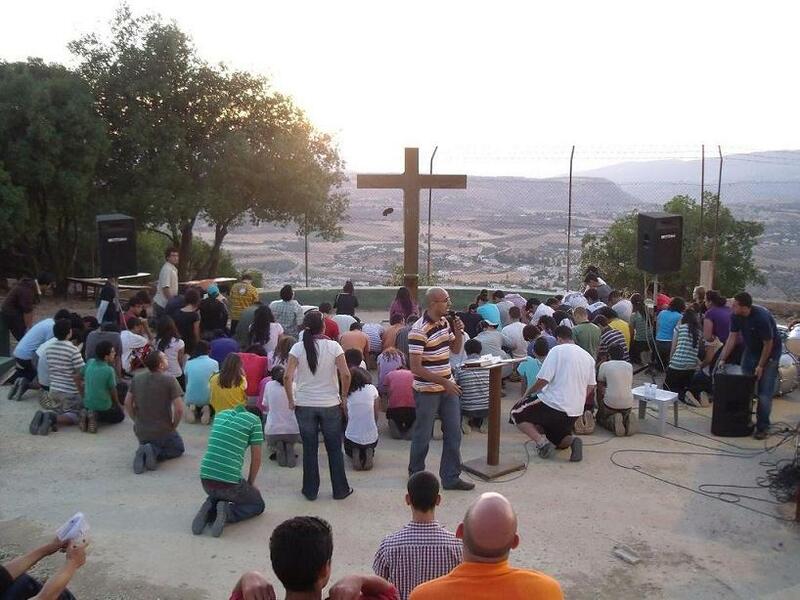 These are hardworking, caring Christian people. 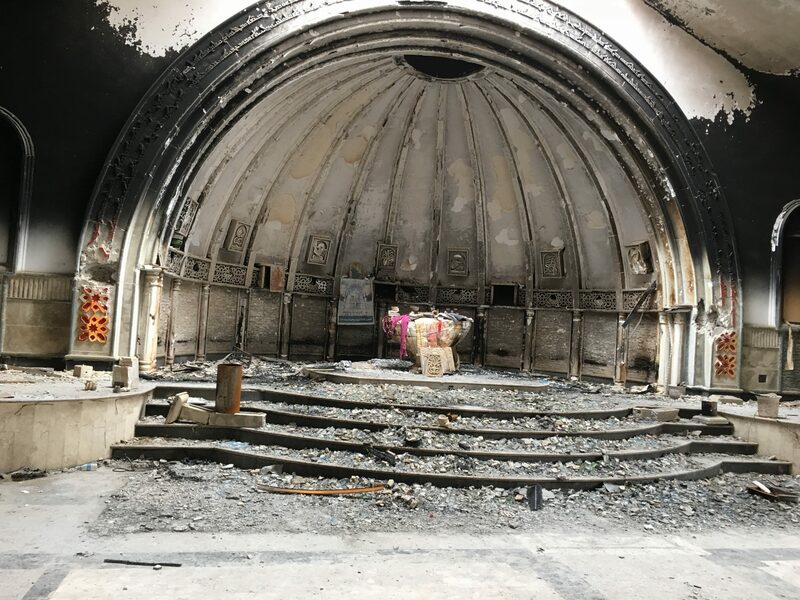 Given the chance the Christians of Iraq will rebuild as they have every time since 638 when Muslims first invaded and destroyed their homes and churches. 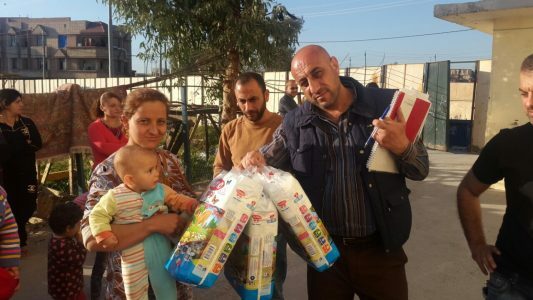 Women’s personal needs: One area I have wanted to expand the Diapers for Refugees program in was to help with women’s feminine pads. 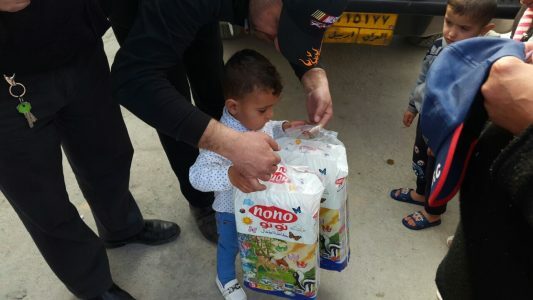 This is a taboo subject in the Middle East and as a result there is a great need. 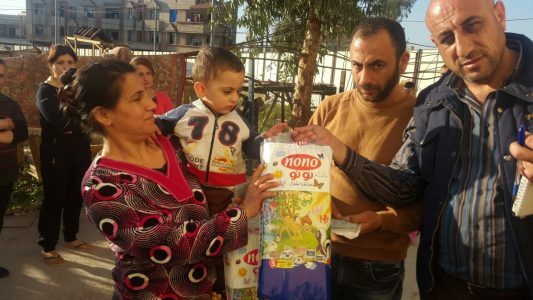 As part of the Christmas for Refugees program the family of every child who participated received a large box or heavy plastic bag of hygiene materials in December. 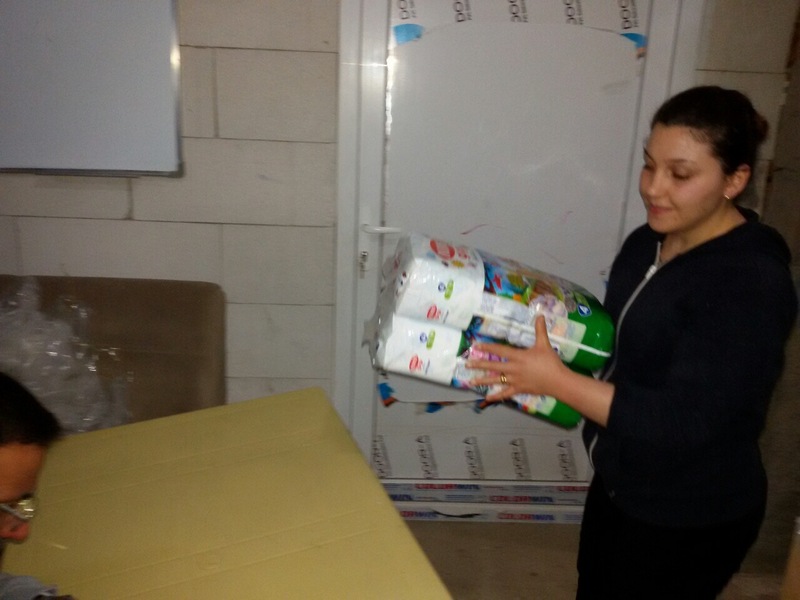 In with the soaps, shampoos, disinfectants, laundry soaps and other supplies were feminine pads. 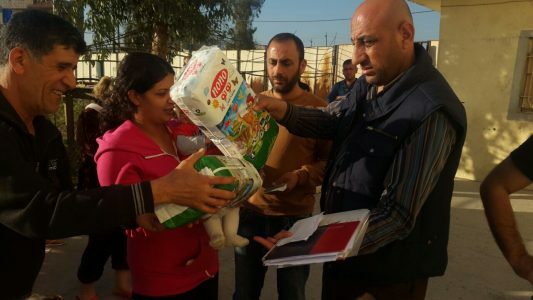 Some of the women visibly cried when they saw what they were getting. 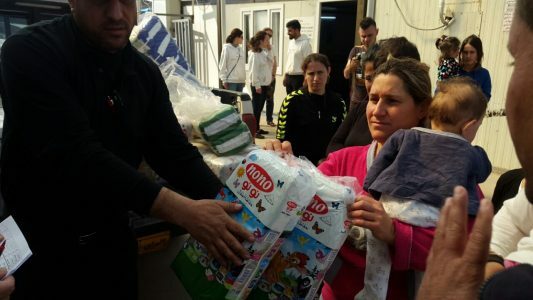 At some point, funds permitting, I want to add feminine products as a part of the Diapers for Refugees program. 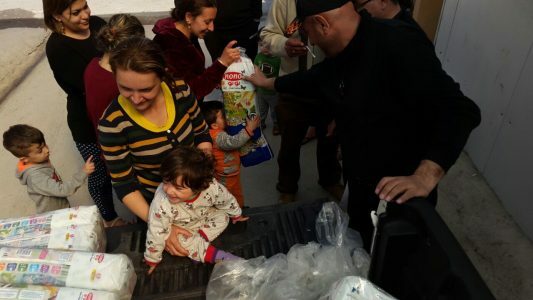 This is just the second year of the program and we do not want to expand too fast, particularly in an unpredictable year of a brand-new presidency. 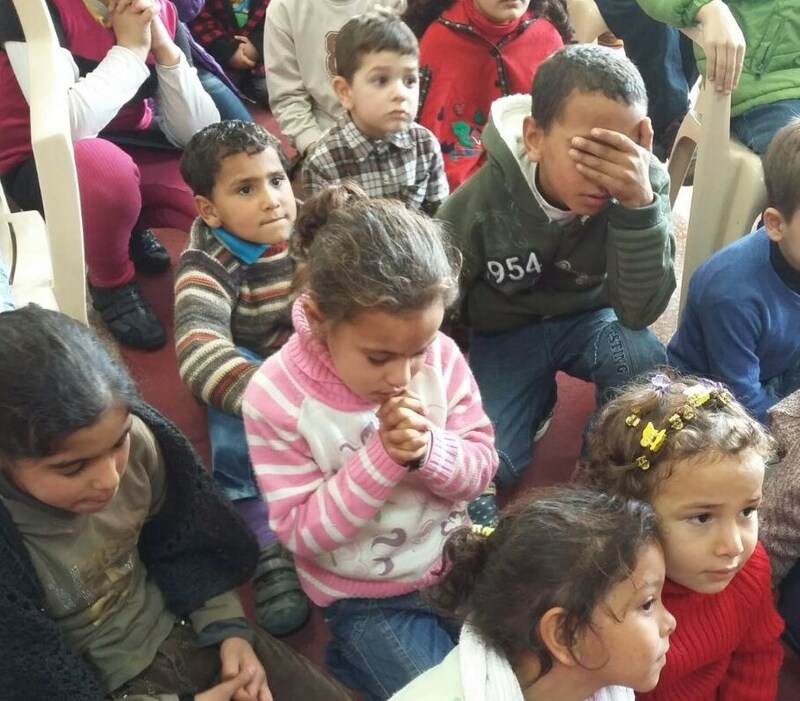 Please pray with me for the Lord to guide us how best to help the persecuted Christians of the Middle East. 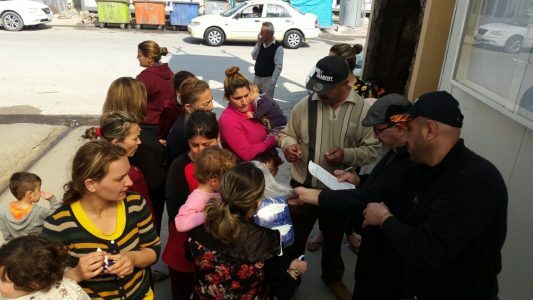 Christians wishing to flee the Middle East in search of asylum will not take first priority under the updated version of President Trump’s executive order on travel and refugees, which was signed Monday morning. 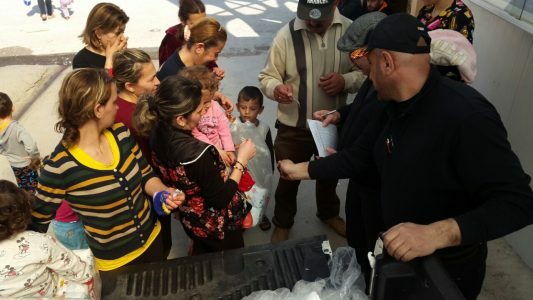 The new executive order does away with language about explicitly prioritizing religious minorities and loosens initial limits on who’s allowed to enter the US. 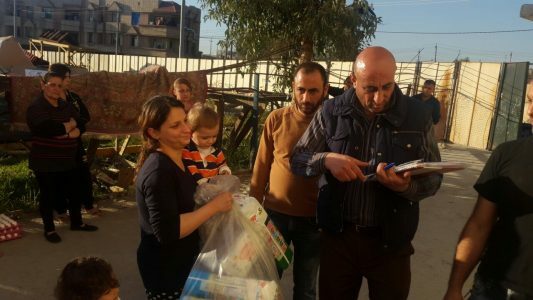 Surveys have found that most self-identified white evangelicals approve of Trump’s temporary moratorium on refugees, but most evangelical leaders oppose it. 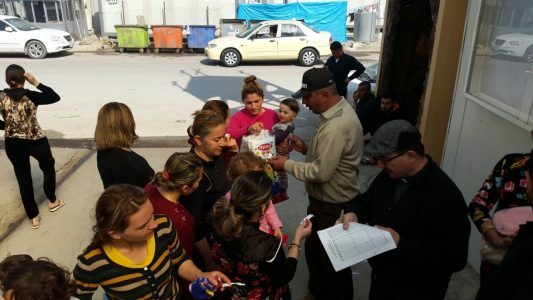 Tim Breene, CEO of World Relief, the evangelical refugee resettlement agency, said “The issuance of a new executive order on refugees and immigrants acknowledges that there were significant problems with the first executive order that caught up green card holders and others as they tried to enter the United States.” World Relief was forced to close five offices and lay off 140 employees after Trump’s decision to decrease America’s intake of refugees from 110,000 to 50,000. 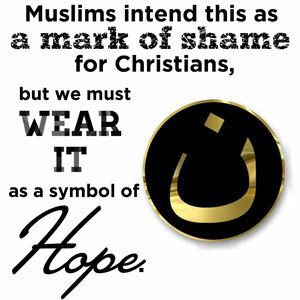 “Trump’s new order considers “fear of persecution or torture” without explicitly calling out religious factors. 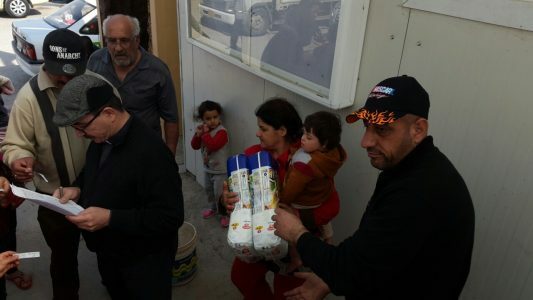 The earlier one contained a provision to prioritize persecuted religious minorities once the refugee program resumed, and the president spoke in a TV interview about helping Christians in particular. 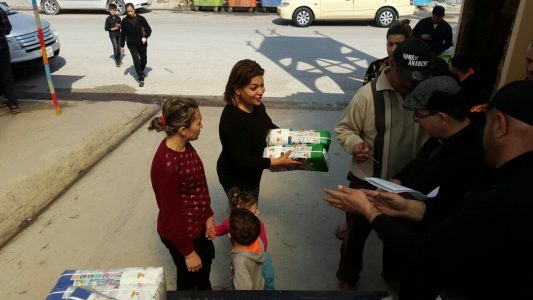 The latest in Clarion’s series explaining the situation in Iraq. 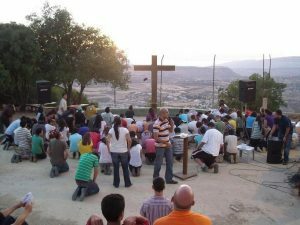 This time a look at the religious groupings with a focus on the Christians.